The Vertigo Renegade Cigar Lighter features four powerful, wind-resistant torch flames in sturdy metal housing for a rugged and reliable cigar torch you can count on. A fold-out cigar punch on the bottom of the unit completes the package for this essential on-the-go cigar tool. Very pleased with this lighter. Reliable and last much longer than others I have tried in the past. Works very well. Good value for the money. 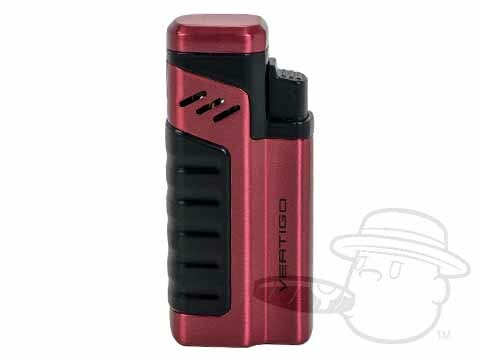 Vertigo Renegade Cigar Lighter By Lotus - Assorted Colors is rated 4.6 out of 5 based on 5 customer ratings. Yes the Vertigo Renegade Cigar Lighter by Lotus is definitely refillable.